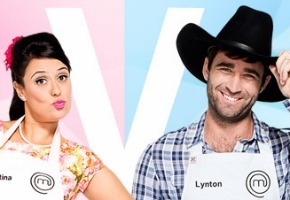 Much debate has centered around the “Boys v Girls” promos for MasterChef. Rather than being the thrust of the entire series, I’m hearing word that this is the first in a series of shifting challenges across the series. While it does form part of the first week, it may wrap by the second. In the first week there are just 4 episodes, but 5 follow a week later. There will also be daytime replays at 11am. Masterchef is back & we are coming to you from the culinary capital of Australia, Melbourne. We have 22 brand new contestants chasing their dream to become Australia’s next MasterChef. The day 2 challenge pits female contestants against male contestants in a Protein Pick Face Off and what’s at stake? The bottom 6 will go in to the first elimination challenge tomorrow. In the first elimination, the worst 6 dishes from last night’s Protein Pick Face Off are cooking, and what’s on the menu? An Invention Test with a twist. Tune is to see who will be the first to go. MasterClass makes a welcomed return to our screens tonight and it’s had a bit of a makeover. For the first time ever, there is a twist with a studio audience member. Oh, so they just made it *look* like the entire series would be like that as a publicity stunt to try and address the Masterchef fatigue that has plagued the show’s ratings for the past couple of seasons. I’m a little relieved, though. An entire season of Boys vs. Girls would have been such a horrible idea. This is a good thing. It would be great to see them compete in different ways. Really looking forward to this! Fresh new look with the new kitchen (and new house which we didn’t see in Professionals) and a bit of a spicing up of the winning recipe – should be a good season! I didn’t think the battle of the sexes theme would be for the whole season, but only for a couple of challenges. But the promos as usual are misleading in giving that impression.